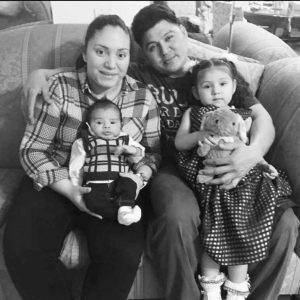 NEWARK – A federal judge today ordered the release of Antonio Martinez, a Queens, New York resident and father of two detained during a routine immigration interview three months ago. Like Pablo Villavicencio, the New York City pizza delivery man who was arrested in June, Martinez is married to a U.S. citizen and was arrested by ICE while in the process of applying for residency status. Martinez’s arrest appears to be part of a pattern targeting spouses of U.S. citizens when they present themselves at federal immigration offices as part of the process to obtain legal status. Martinez was detained when he and his wife Vivian arrived at a scheduled immigration interview at 26 Federal Plaza on April 27. After his arrest, his wife was told this was the result of a new ICE policy to detain anyone with a prior order of removal who comes to their office for an interview — even though federal regulations were expanded in 2016 to permit couples with one partner who has an outstanding removal order to apply for residency status. The New York Civil Liberties Union and the American Civil Liberties Union of New Jersey filed a federal lawsuit challenging this new policy and seeking a stay of deportation and Martinez’s release. Martinez will be released from the Hudson County Jail in Kearny New Jersey Friday night and will be met by his wife Vivian, his 2-year-old daughter and his 4-month-old son.